Beautiful wooden heart with pink distressed background. 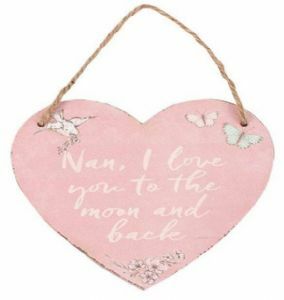 "Nan, I love you to the moon and back" with pretty decor to finish. Hung with natural twine. Perfect for any loving Nan!